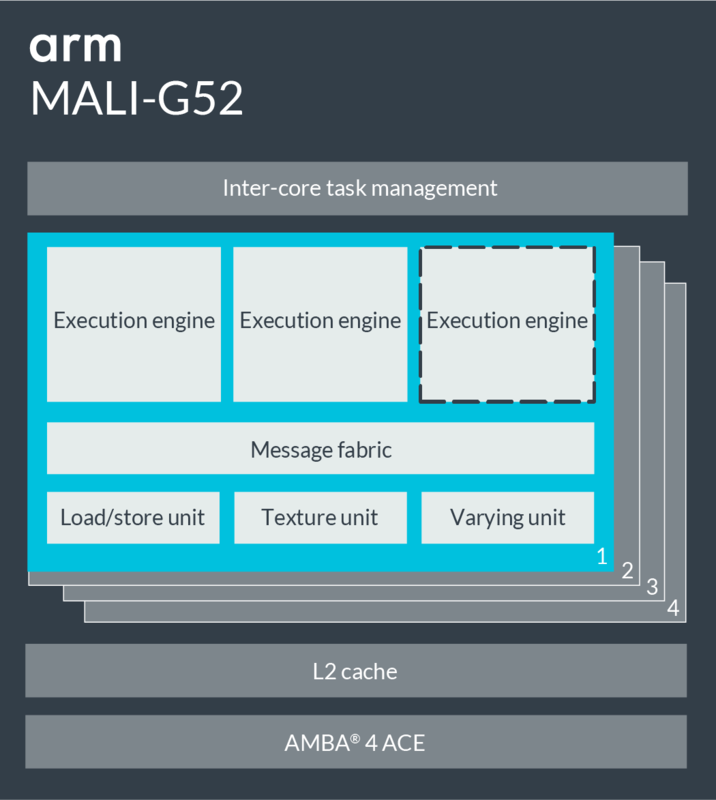 The Arm Mali-G52 is the second Bifrost-based mainstream GPU from Arm. Designed to bring premium visual experiences to the ever-growing mainstream mobile market, Mali-G52 provides heightened Machine Learning capability for those smart applications that are fast becoming essential. Featuring wider execution engines with double the processing lanes, Mali-G52 can efficiently handle far greater graphical complexity in a modest silicon budget.